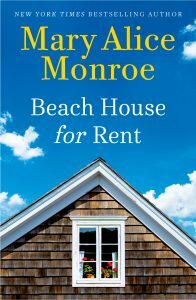 We'll be selling books for the fabulous Mary Alice Monroe when she appears at the Community House this Tuesday, March 6th. This is a ticketed event sponsored by the Sanibel Public Library. If you'd like a personalized book we'd be happy to have one signed for you. Call 239-472-1447 to place your order. Rosalie Masella will be in the shop on Tuesday, March 6th from 11-1 signing her two wonderful children's books. 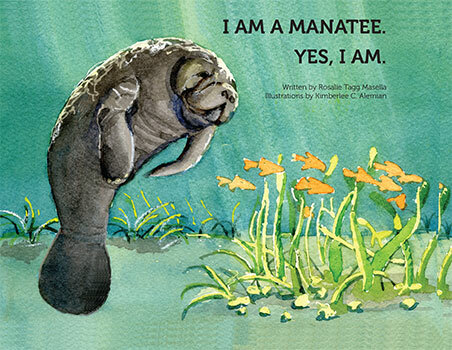 I Am a Manatee, Yes I Am! and the Adventures of Dingle Dee and Lingle Dee. A portion of the proceeds from book sales benefit the Wounded Warrior Project. Both books are beautifully illustrated, of local interest and make a great gift or souvenir! 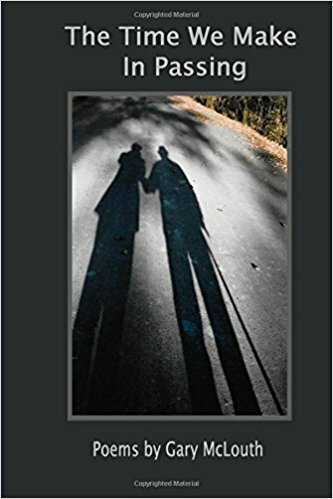 Gary McLouth will be here on Wednesday, March 7th from 11-1 signing his latest book of poetry titled the Time We Make in Passing. Gay is an adjunct professor in the English Dept. of FSW, participates in poetry slams, is part of the Gulf Coast Writers Association, The Lee County Alliance for the Arts, and the Sanibel Writers. He also does free-lance writing and editing on a variety of prose projects. Stop in and chat about all things writing with Gary and the Mac staff. 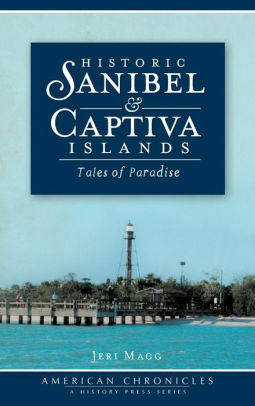 Ron Base will be joining us to sign and chat about his Sanibel Sunset Detective Series novels. Meet Ron between 11 and 2. 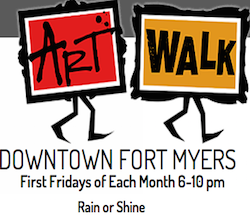 Art Walk in the River District. Join us at the "Mini-Mac" in the Franklin Shops for books and conversation from 6-9. And, last but not least, we have selected our March book club pick, Next Year in Havana by Chanel Cleeton. Copies can be purchased in shop and our next meeting will be March 29th at 6 p.m. We hope you can join us! 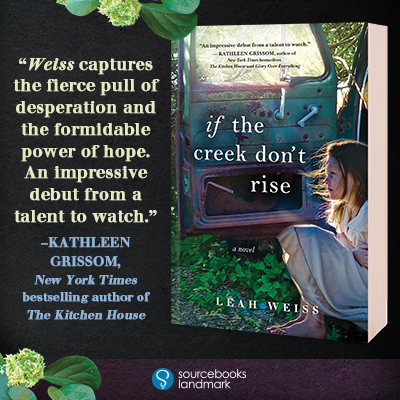 Join us for Book Club February 22nd @6 p.m.
We're reading If the Creek Don't Rise by Leah Weiss and thoroughly enjoying it. Join us at 6 for snacks and great conversation. RSVP by commenting below or calling 239-472-1447. From Florida’s king of mayhem—"compulsively irreverent and shockingly funny" (Boston Globe) New York Times bestselling author Tim Dorsey—comes a diabolically madcap adventure featuring the indomitable Serge A. Storms. No one worships the Sunshine State as much as Serge A. Storms. Perpetually hunting Floridian arcana and lore, he and his permanently baked sidekick, Coleman, are on the road again. This time they’re on a frenzied literary pilgrimage that leads them back to Riviera Beach, the cozy seaside town where the boys spent their formative years. Growing up, Serge was enthralled by the Legend of Riviera Beach, aka Darby, a welder at the port who surfed the local waves long before the hot spots were hot. A god on the water, the big-hearted surfer was a friend to everyone—the younger surfers, cops, politicians, wealthy businessmen and ordinary Joes—a generosity of spirit that earned him the admiration of all. Meanwhile, there was a much murkier legend that made the rounds of the schoolyards from Serge’s youth—that of the crazy hermit living in a makeshift jungle compound farther up the mysterious Loxahatchee River than anyone dared to venture. Then Serge moved away. But never forgot. Now he’s back, with those legends looming larger than ever in the rearview mirror of his memory. As his literary odyssey moves north from Key West, closer and closer to his old stomping grounds, Serge digs into the past as only Serge can. Along the way, he unintentionally disturbs some long-forgotten ground, attracting the attention of a cast of villains that only Florida can produce. Why are the guys in the hard hats worried about the monkeys? When do you hack a motel air-conditioner? How does Coleman get high with cat toys? And will book tours ever be the same after Serge decides to check one out? Told in alternating flashbacks between Serge and Coleman’s childhoods and the present day, The Pope of Palm Beach is a witty and deliciously violent delight from the twisted imagination of Tim Dorsey. The Pope of Palm Beach is the 21st book in the Serge Storms Series. Don't Miss These Terrific Events! 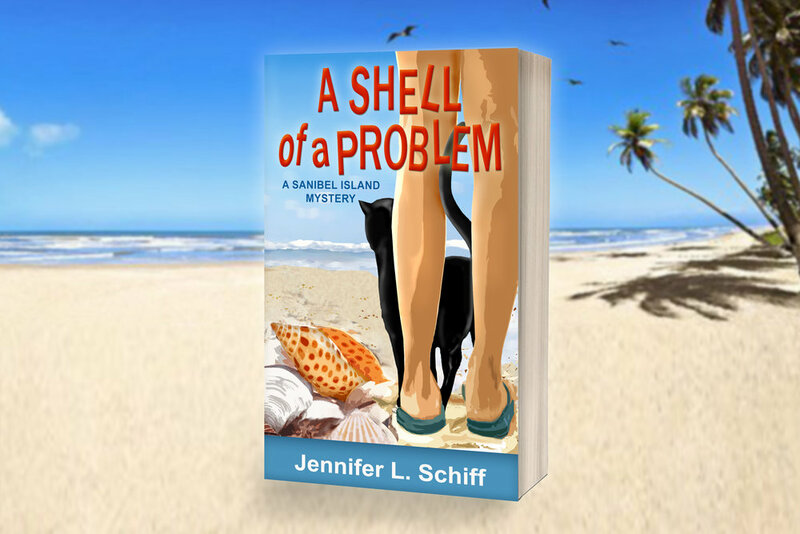 Jennifer Lonoff Schiff will be in store signing her best-selling cozy mystery, A Shell of A Problem. A great gift for yourself or your valentine! Meet Jeff Zwagerman and Dr. Morton Tavel during our monthly local author afternoon. Each author will have a selection of their books available for signing and purchase. If its a new mystery your after, Jeff will introduce you to his semi-local series featuring the memorable character Zander. 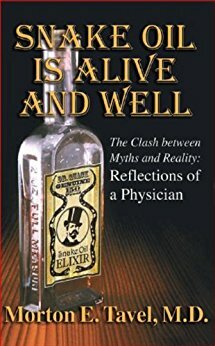 If nonfiction is more your taste, you'll be happy to chat with Dr. Tavel. He's authored several books that he'd be happy to introduce you to! We'll be serving wine and cheese to make this the best Happy Hour on Palm Ridge! 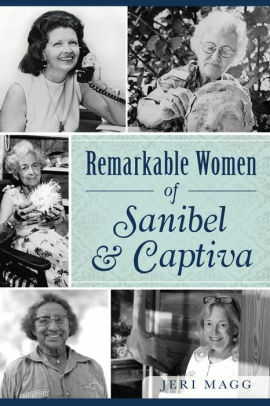 Jeri Magg will be here at Noon on Friday to sign and discuss her beautiful history book of the islands and her interesting and true stories of the Remarkable Women of Sanibel and Captiva. On a deserted road, late at night, Scotland Yard’s Ian Rutledge encounters a frightened woman standing over a body, launching an inquiry that leads him into the lair of a stealthy killer and the dangerous recesses of his own memories in this twentieth installment of the acclaimed New York Timesbestselling series. Hours after his sister’s wedding, a restless Ian Rutledge drives aimlessly, haunted by the past, and narrowly misses a motorcar stopped in the middle of a desolate road. Standing beside the vehicle is a woman with blood on her hands and a dead man at her feet. She swears she didn’t kill Stephen Wentworth. A stranger stepped out in front of their motorcar, and without warning, fired a single shot before vanishing into the night. But there is no trace of him. And the shaken woman insists it all happened so quickly, she never saw the man’s face. Although he is a witness after the fact, Rutledge persuades the Yard to give him the inquiry, since he’s on the scene. But is he seeking justice—or fleeing painful memories in London? "A beautiful, fiercely honest, and nevertheless deeply empathetic look at those who police the border and the migrants who risk - and lose - their lives crossing it. In a time of often ill-informed or downright deceitful political rhetoric, this book is an invaluable corrective." Plagued by nightmares, he abandons the Patrol for civilian life. But when an immigrant friend travels to Mexico to visit his dying mother and does not return, Cantú discovers that the border has migrated with him, and now he must know the whole story. Searing and unforgettable, The Line Becomes a Rivermakes urgent and personal the violence our border wreaks on both sides of the line. Shannon Moss is part of a clandestine division within the Naval Criminal Investigative Service. In Western Pennsylvania, 1997, she is assigned to solve the murder of a Navy SEAL's family--and to locate his teenage daughter, who has disappeared. Though she can't share the information with conventional law enforcement, Moss discovers that the missing SEAL was an astronaut aboard the spaceship U.S.S. Libra--a ship assumed lost to the darkest currents of Deep Time. Moss knows first-hand the mental trauma of time-travel and believes the SEAL's experience with the future has triggered this violence. At once an epic story of human survival and love, and an intimate portrait of a family tested beyond endurance, The Great Alone offers a glimpse into a vanishing way of life in America. With her trademark combination of elegant prose and deeply drawn characters, Kristin Hannah has delivered an enormously powerful story that celebrates the resilience of the human spirit and the remarkable and enduring strength of women. About the highest stakes a family can face and the bonds that can tear a community apart, this is a novel as spectacular and powerful as Alaska itself. It is the finest example of Kristin Hannah's ability to weave together the deeply personal with the universal. Newbery Medalist Christopher Paul Curtis brings his trademark humor and heart to the story of a boy struggling to do right in the face of history's cruelest evils. Twelve-year-old Charlie is down on his luck: His dad just died, the share crops are dry, and the most fearsome man in Possum Moan, Cap’n Buck, says Charlie’s dad owed him a lot of money. Fearing for his life, Charlie strikes a deal to repay his father’s debt by accompanying Cap’n Buck to Detroit in pursuit of some folks who have stolen from him. It’s not too bad of a bargain for Charlie . . . until he comes face-to-face with the fugitives and discovers that they escaped slavery years ago and have been living free. Torn between his guilty conscience and his survival instinct, Charlie needs to figure out his next move—and soon. It’s only a matter of time before Cap’n Buck catches on . . .
Meet Charles Todd February 7th at noon! Author Charles Todd is the pen name of Caroline and Charles Todd, mother and son. Caroline lives in Delaware, Charles in North Carolina, and they have written dozens of prize-winning books set during and right after World War I-era Britain. 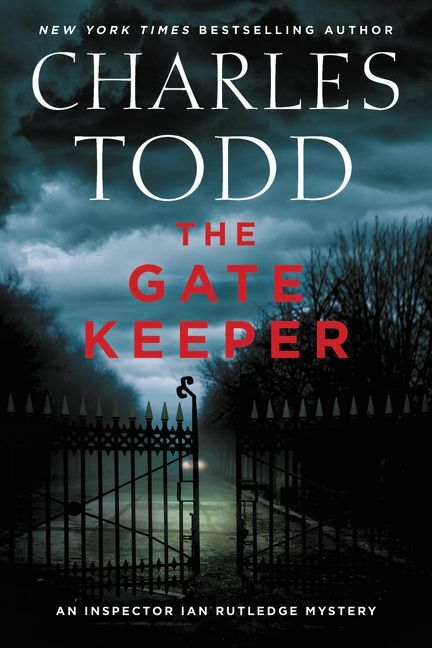 Charles will be here on February 7th at noon to discuss their latest Ian Rutledge mystery (#20) titled the Gate Keeper, published this February by Harper Collins. On a deserted road, late at night, Scotland Yard’s Ian Rutledge encounters a frightened woman standing over a body, launching an inquiry that leads him into the lair of a stealthy killer and the dangerous recesses of his own memories in this twentieth installment of the acclaimed New York Times bestselling series. Mark your calendars! On Friday, January 26th at 10:30, Sanibel's own Charles LeBuff will be in the store to tell us all about the Calusa, the first people to live in our beautiful Southwest Florida area. Charles has extensive knowledge about Sanibel and Captiva, as well as history of the area. For more information on this event please visit our events page, or you could stop in on a Sunday from 11-5 and visit with Charles! Happiest of New Year's to our bookish friends near and far! We appreciate your support and look forward to sharing many stories with you in 2018. Do you suffer from burnout, chronic busyness, and a 24/7 on-demand lifestyle? Do you find yourself making mistakes as the result of too much multi-tasking? Are you so stressed and overloaded from work that quality time at home is suffering? Are you too busy to find time to go to the beach? Make yoga your secret weapon. Practicing yoga is an extremely popular way to get fit, but its underlying philosophy can offer so much more to focus the mind and help you to discover untapped personal power. In Beyond the Mat, business leader, physician, and certified yoga instructor Julie Rosenberg shows you how to bring yoga out of the studio and into your personal and professional life. She shares how yoga is more than just poses (though those do help with backs tired from slumping in front of computers all day), with a clear explanation of the underlying principles, real-life examples, and anecdotes from her own life and professional career. Yoga's philosophical principles extend far beyond the mat and form a framework to support your overall well-being, achieve success, and to lead yourself and others more effectively. Julie will be here from 4-6 to sign her latest book, teach us her favorite yoga poses for the desk or plane and enlighten us with her knowledge of the yoga lilfestyle. Your friends at MacIntosh are here to help you the perfect holiday gift for EVERYONE on your list. We'll even wrap! Stop in to see what's new, what's autographed and what we recommend. It's the most wonderful time of the year and Sanibel is the most wonderful place to be spending the holidays. This casual event is a great opportunity to meet talented local writers and learn about their books, while enjoying wine and good conversation. C is for Christmas and Cookie! Join us Thursday, December 7th from 4-6 p.m. for our 2nd Cookbook Open House featuring cookies and drinks from several popular holiday cookbooks. Eat, drink and be merry with your favorite booksellers and let us help you select the perfect books for everyone on your list. Meet Patricia Gussin this Tuesday! 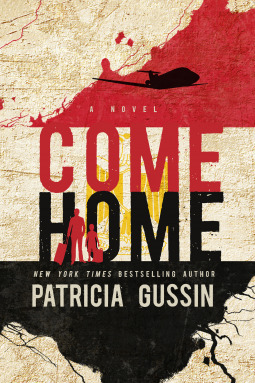 Join us this Tuesday from 4-6 as we chat with mystery writer Patricia Gussin about her latest book Come Home. Wine and cheese will be served! Nicole Nelson and Ahmed Masud are a dynamic, highly successful Philadelphia couple. They are partners in a thriving plastic surgery practice, are very much in love, and they adore their young son, Alex. But cracks are beginning to appear in their fairy-tale life: lingering post-9/11 prejudice against Arab men, accumulating malpractice lawsuits for Ahmed, and most recently, pressure from Ahmed's wealthy family in Cairo for him to return to Egypt--permanently--with his son. The Masud family pressure becomes a demand as the Hosni Mubarak regime is seriously threatened by protestors in Egypt. Ahmed's family owes their control of the Egyptian cotton empire directly to Mubarak cronyism. If Mubarak goes down, the Masuds will surely lose their wealth, maybe even their lives. They need Ahmed back in Egypt to implement their plan to move their fortune and family out of Egypt and into South America. Ahmed must make a decision--stay with Nicole in America--or obey his father. And what about their son? Tragic consequences, that Ahmed could have never foreseen, propel both the Masud family and Nelson family on a path toward unspeakable tragedy. Patricia Gussin is the NYT best-selling author of The Florida Book Award Winner, "After the Fall," 'Weapon if Choice," "And Then There Was One," "The Test", "Twisted Justice", and "Shadow of Death", all thrillers, and "What's Next...For You? ", a non fiction book, co-authored with her husband, Robert Gussin. Her latest novel "Come Home" will be released in November, 2017 She is a physician, a former pharmaceutical executive, mother of seven, and Editor in Chief for Oceanview Publishing. She lives in Longboat Key, FL and East Hampton, NY and she and her husband are vineyards owners in New Zealand, growing grapes for Villa Maria Estates Winery. Today and every day, we celebrate what is unique and wonderful about our community. Without your support, the good that we do and the love that we share would not be possible. So THANK YOU for supporting this local indie since 1960! Stop in today for great deals on books and holiday must haves. We'll be open from 9-5 with yummy treats and lots of great recommendations! Shop civilized at your local Indie! We're open Friday from 9:30-7 with great deals on holiday cards, books and candles. No pushing, no yelling and no waiting in line! We'll help you choose the perfect gift for every reader on your list and wrap your purchases for free. Keep it simple and save that time you'd spend crossing the bridge at the beach! See you at the bookstore! For this beautiful week, our generous community and this joyful space to share kindness and conversion with dear friends. Thanksgiving is a time to reflect on what is good in our lives and to celebrate and share our blessings with others. The Mac staff is certainly doing that and wishing you and yours a wonderful holiday. We'll be open today from 9:30-7 and on Thanksgiving Day from 10-2! Stop in for a book recommendation, a holiday candle or the perfect card. We're here to serve you and we're grateful! Join us November 21st from 12-2 when author Joe Fisher and illustrator Jaye Boswell are here to chat about and sign their beautiful new children's book, Rusty the Forgotten Fire Engine.